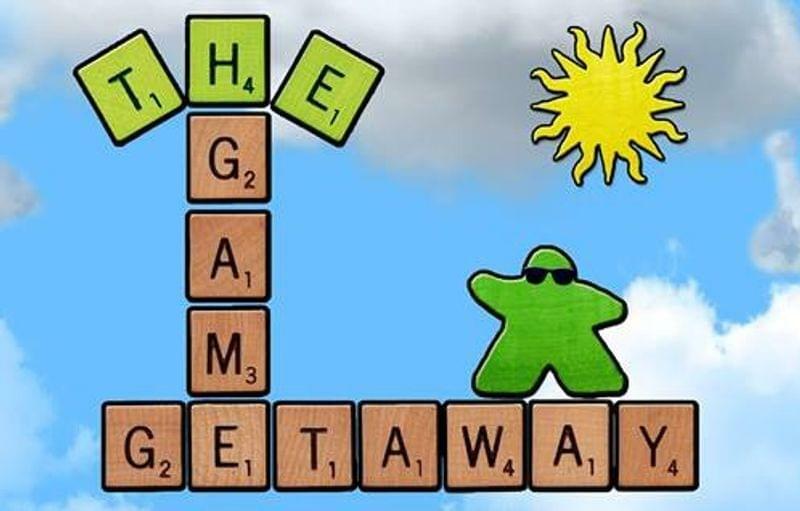 We're pleased to include The Game Getaway in our Business Spotlight Series. We connected with Ron Petersen to learn more about The Game Getaway at 809 Sutter Street. What is The Game Getaway, how would you describe it to a friend? The Game Getaway is built on the idea of “Game Night”, a time where friends or family come together and play games. In this day and age, there is a great need for people to actually connect with each other, and games have been doing that for over 5,000 years. 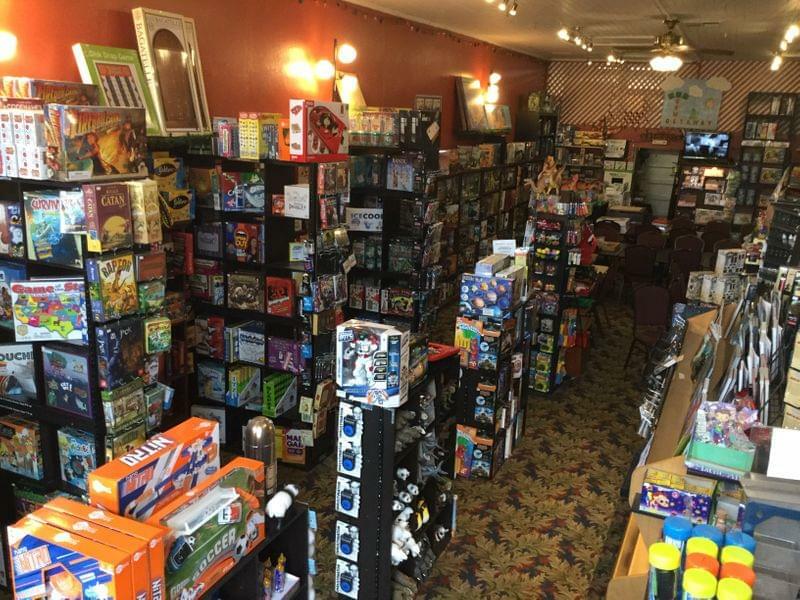 You can buy games to have your game night at home, at a friends house, or you can come here and play from a library of over 1,000 games at $5 per person. I first started the business because I wanted to help people start playing games and provide a space for a game night environment. For decades that is what me and my friends did, and it was games that kept us together for decades. This isn’t my first run at this. Originally I was trying to open a board game cafe - basically a game library and store, but with food and drink. 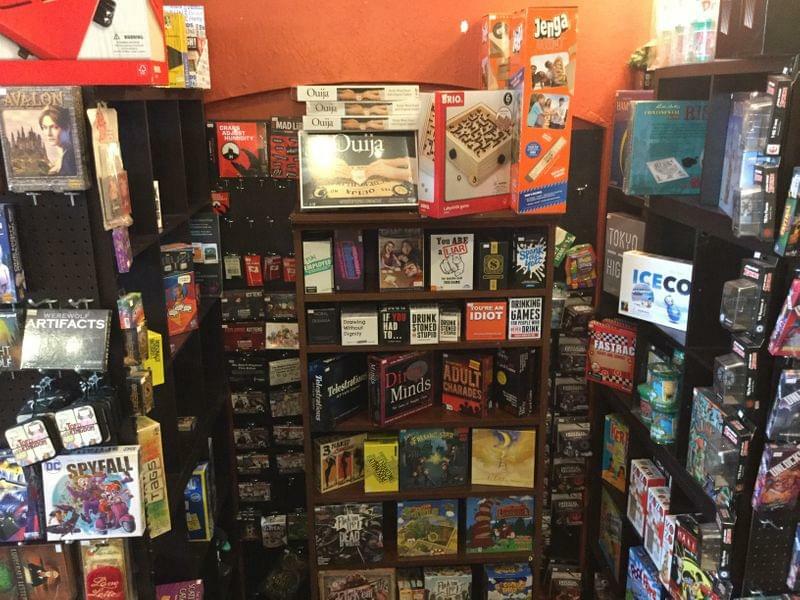 We are just short of proper food and drinks from being a full board game cafe. Other than that, we have everything else in place. I hope to find a way to get to that point but at the moment, it is a big financial step for us. Stay tuned! 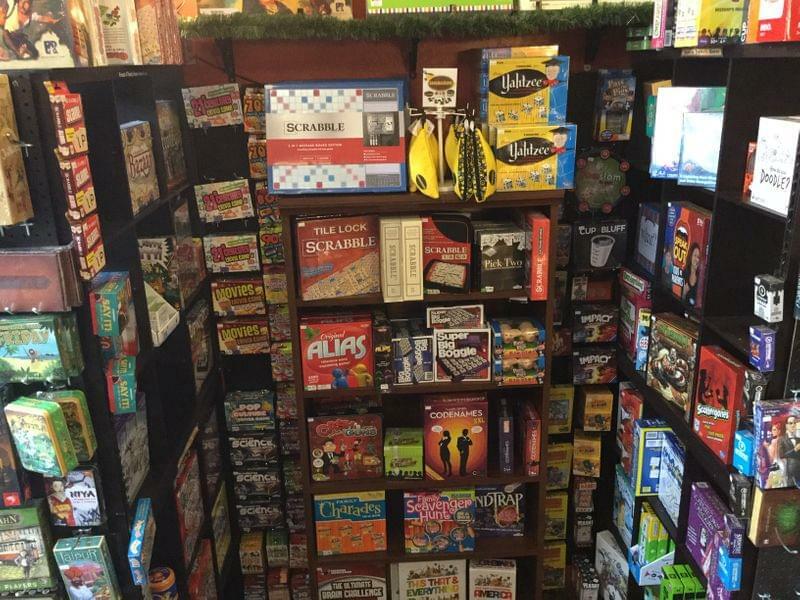 People don’t immediately know that we have our “Wall of Games”. 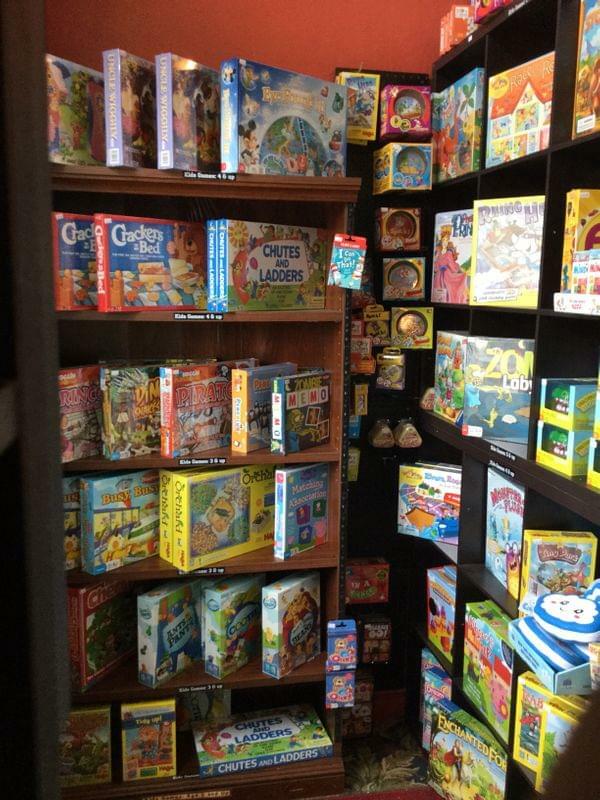 Basically, it is a board game library exceeding 1,000 games and always growing. You can pay $5 per person and play as many games as you like all day long. 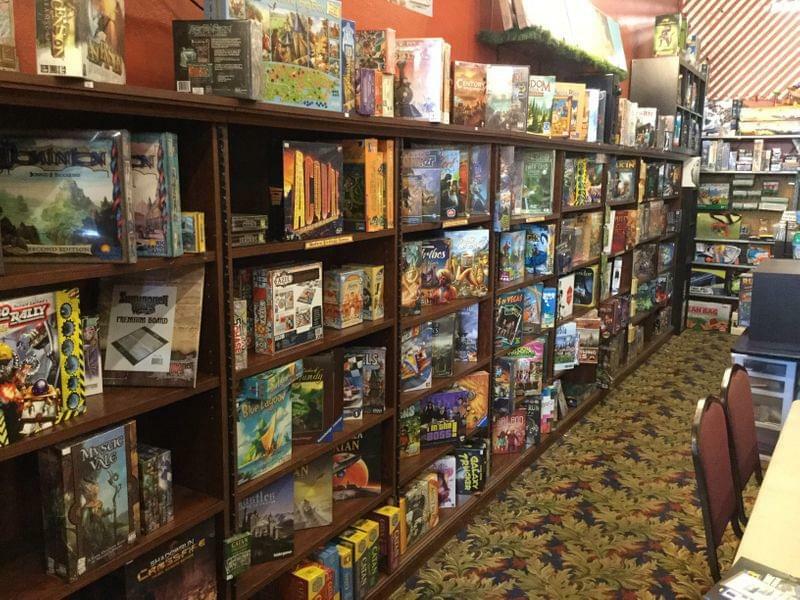 Much more rare (but it comes up now and then), some people think board games are “for kids.” That might sound strange, but that is what some people think. There has never been a “just for kids” activity. Games specifically “for kids” are actually just a fraction of the games out there. The most common comment we get is either “you must have every game ever made” or “I never knew there were so many games.” My typical response is: “this is still just a drop in the bucket of what is out there." People think Scrabble and Monopoly and the like is all there is. There is simply a mind boggling variety of games of all kinds out there that people are simply unaware of. The "Wall of Games." There is over 1,000 games on it and growing. Are there any game themes that seem to be trending or more popular at the moment? There are countless different kinds of themed games out there. But more often than not it is more about game play. With many games, the theme is just there to draw you in. For other games, it is more relevant and ramps up the fun. For example: Ca$h 'n Gun$ is where you take on the role of crooks trying to split up loot, or Colt Express where you are competing old west train robbers trying to grab as much loot while avoiding the sheriff and the wrath of other players. Then there is Azul (which won game of the year in 2018) where you are competing to lay floor tiles for an emperor - great game, but skip the back story. When people ask me what is my favorite game I cheat and say I like variety, which is true. Compliments are great but the best “compliment” I get is when I see people smiling and hear people laughing having a great time while playing a game. “Yup, that is why I am here”, I think to myself. We do get nonprofits coming through now and then. If they ask for donations for a raffle we never hesitate in giving them a good healthy round of Wall of Games passes. We choose to come to the Historic District because people come down here now to eat, have some fun, go out as a family, or have a date night. 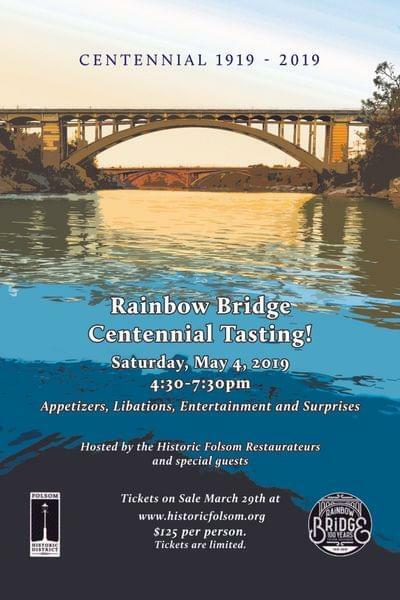 We fit right into that aspect of Old Folsom. We do have an ongoing game night at the Fat Rabbit. It has been going on for a few years now. We haul a cart down there so it is a great way to play some games. It’s free there on Mondays and goes from 6pm to close. We also have an ongoing D&D for kids on Saturdays and Sundays. The current ones are relatively full but we are starting a second session on both days between 11 and 2. We’ve had kids as young as 6 come and players don’t need any experience. We have an employee that runs this and it does cost $10 per kid per session. 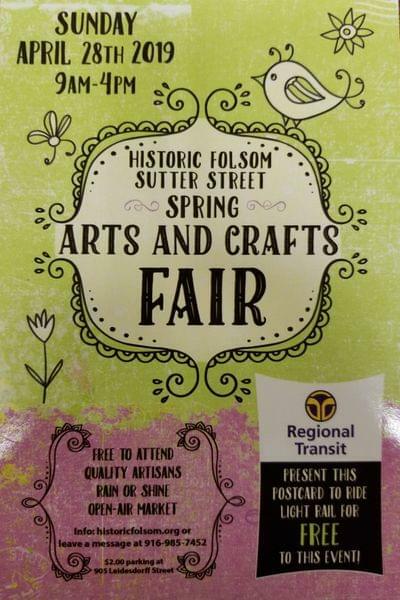 Stop on by and let us know if you are interested.